Today we are pleased to offer a sample letter from “Dear World, See What I See,” a book by Shanti Urreta that prompts readers to consider the world through her eyes as a vegan and narrates the journey of how she gained a compassionate perspective. 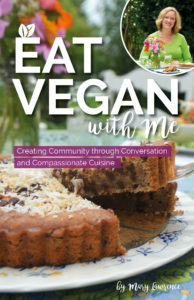 I am so excited to be setting up with Vegan Publishers at the NYC Vegfest on March 1-2. I will have my recently published book, “Dear World, See What I See.” Check out the reviews on Amazon, then come and visit our table and get your own signed copy. You eat terror. You eat fear. You eat the energy that is in that animal. There are no happy cows when they are taken to be slaughtered. There are no painless, “Gee, I did not realize I am being killed” slaughterhouses. At the end of a tortured, depressed, hopeless life, the animals’ lives are ended in fear and in terror. It is the energy of fear and terror that is coursing through their bodies. Then we eat their bodies. You are what we eat. The common saying, “You are what you eat makes sense.” Doctors will tell you that you are what you eat. They refer to it from the health point of view. If you eat a lot of fat, chances are your blood will become thick and it won’t pump through your body very easily. Heart disease will follow. They will put you on medicine. It is easy to see how you are what you eat. But there also is the emotional side to what you eat. How much of the violence that each person has in their emotional state can we link back to what we eat? How much hopelessness is in the animals’ cells? How much sadness and desperation did the animals live with and you eat? I think each person will have to answer that for themselves. Some might say, “I am eating the spirit of that animal!” It is a good thing! I say, “When you are hurting, when you are frustrated, when you are in pain, doesn’t your spirit hurt?” The animals’ spirits are hurting. Why would you want to eat the spirits of animals that are hurting? Can we continue to live our lives knowing that we are not only hurting another being but that we are hurting ourselves, our physical and emotional selves… for the sake of our taste buds? 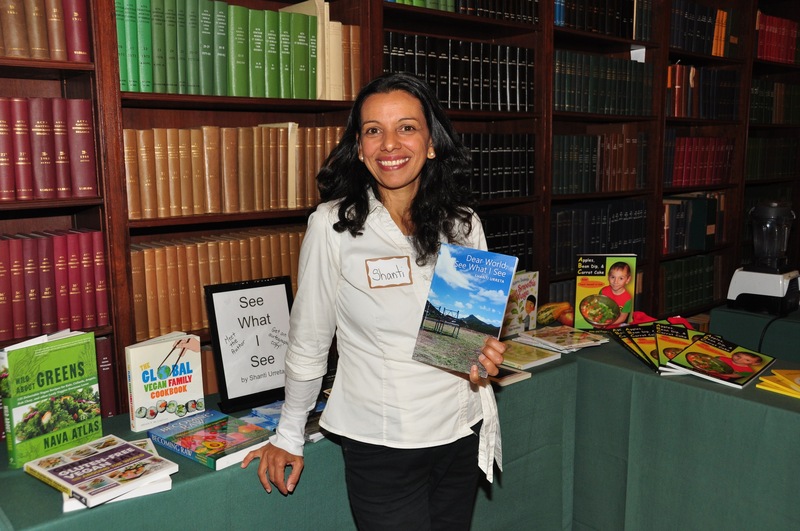 After 20 years working as an elementary school teacher, Shanti Urreta retired to follow her passion of promoting world peace, animal protection, and the virtues and health benefits of a plant-based diet. A staunch vegan and compassionate activist, she is now using her considerable teaching skills as an author and public speaker. She is active in Toastmasters, a public speaking organization, and is the Children’s Center Director for the North American Vegetarian Society’s Annual Vegetarian Summerfest. 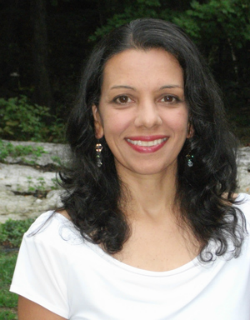 Shanti currently lives with her husband in Mahopac, New York, where you can find her involved in some project or another for veganism, honing her speaking skills, and offering delicious plant-based meals to her friends. I’m always interested in hearing of others journeys, thank you for writing of your journey. I cherish the idea of seeing my life as a journey. One upon which I am learning all the time; physically, mentally & spiritually. I embrace the “good” with the “bad” & have come to realize that a lot of how I perceive, honor & hold onto the teachings of my journey is by how I react to the “good” and the “bad”. I have the power to choose not only HOW I react to anything that comes my way, but also what do I then DO with that information, and possibly how do I then pass it along. Shanti’s book, to me, is about this. Shanti’s reaction to what has confronted her on her journey. I praise her ability to be true to her beliefs and to gently share them. To teach is a great honor, to teach well is a blessing for us all. To read this book is to have been blessed by meaningful teachings. Sunday May 5, 2013 was a momentous day for me, because it was when I met author Shanti Urreta for the first time in, of all places, Home Depot. It was a life changing meeting and the beginning of a friendship that continues to this day. Our meeting was life altering, because I was introduced to her draft of what would become ‘Dear World, See What I See’, her most recent book. I say life altering, because this book began to provide answers to what part my previous, heavily laden, meat based diet played in bringing me to the operating theater in 2008 for Open Heart Surgery. ‘Dear World, See What I See’ has provided information sprinkled liberally with large doses of inspiration, and opened my awareness to the morality issue of killing other beings just to eat meat. I have since learned that there is a whole universe of plant based alternatives, that are nutritionally more powerful than meat, as well as good tasting too. I applaud author, Shanti Urreta for bringing ‘Dear World, See What I See’ into the public arena, and urge everyone to read it today! As a vegan, I am always wondering why people are willing to support the slaughter of innocents. The book, “Dear World,” gently takes readers by the shoulders to turn them toward the place where they can see these truths. Honest, heartfelt, passionate…Shanti’s journey awakens your soul! Drawn from her personal experiences, along with facts and quotes and some easy, delicious vegan recipes included, “Dear World, See What I See” is a must read. A reverence for life is a path we all must take to make this world a better place for all living creatures present and future. I am so glad I came across Shanti’s book. It is a great book! Simple, factual, easy to read, understand, and the thread of compassion and love that streams in the background of each line can be felt through the hands that hold the book and through the finger tips that turn every page.